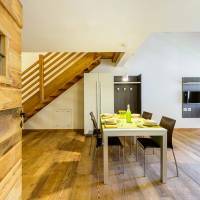 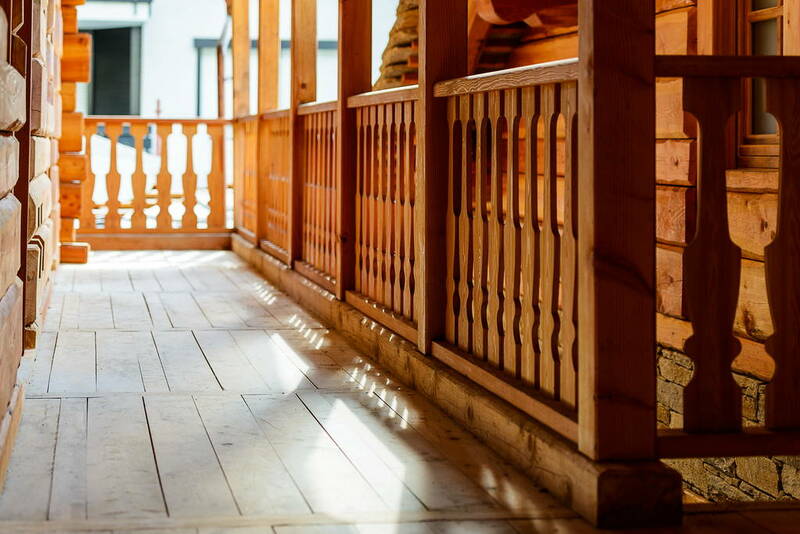 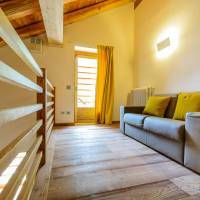 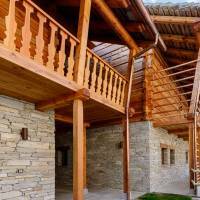 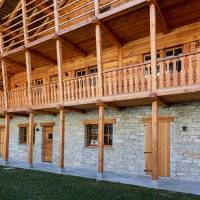 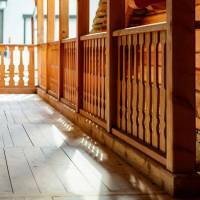 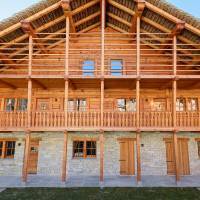 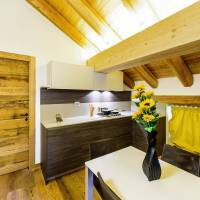 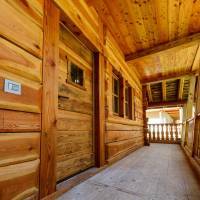 Our chalet are characterized by the typical balconies (lobbies) consist of vertical uprights larch resting on the ground on stone blocks. 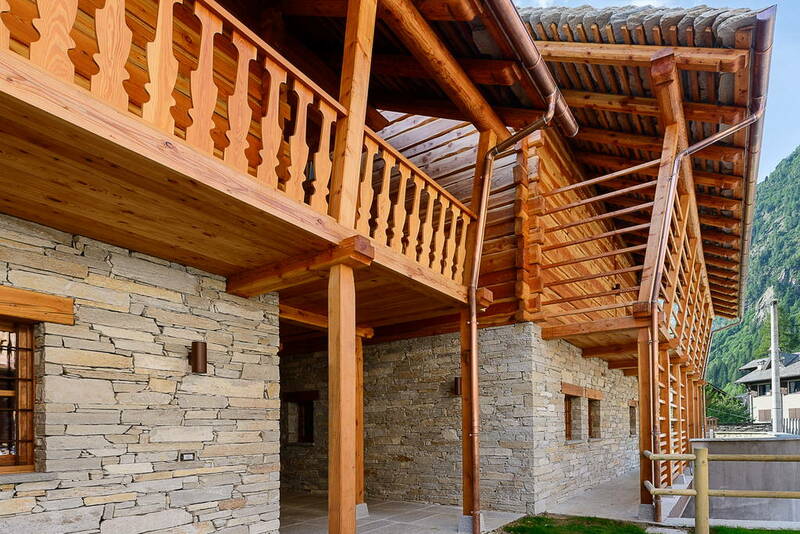 They hold up the wooden deck and parapets that alternate with different shapes up to support the warping larch round Scorzato roof, covered in stone slabs laid to valsesiana. 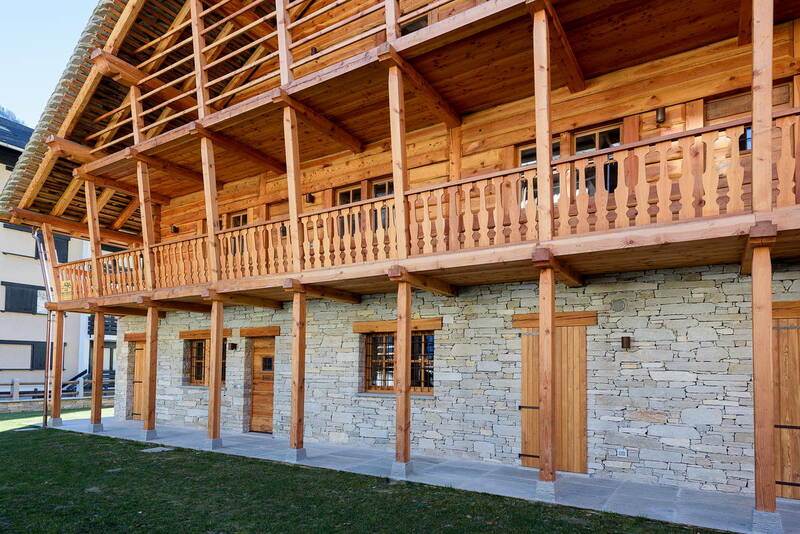 On the ground floor area of the walls are covered with a skin of stone placed in work with local technical, while the upper floors reproduce, with the plains of wood, the original blockbau; all in analogy with the Walser settlements nearby. 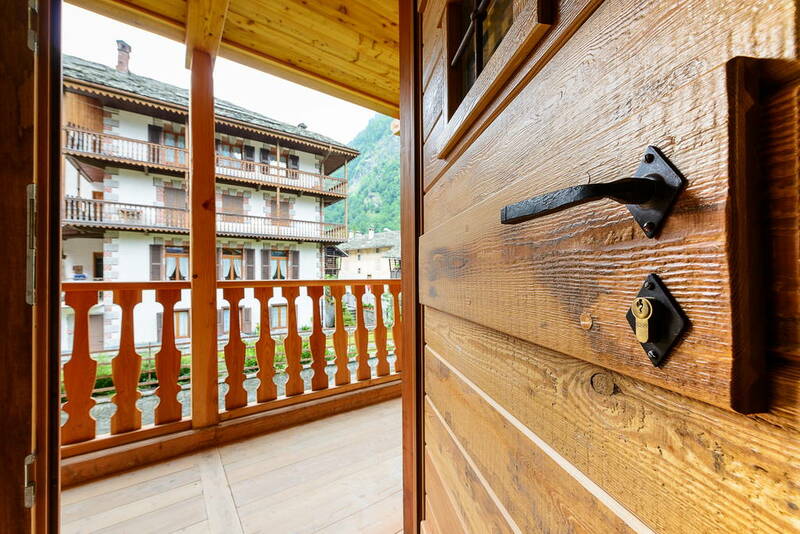 ACCOMMODATIONS, LOCATED ON MAIN STREET, OFFERING THE CHANCE TO EXPERIENCE THE LOVELY VILLAGE WITHOUT NEED TO USE YOUR CAR. 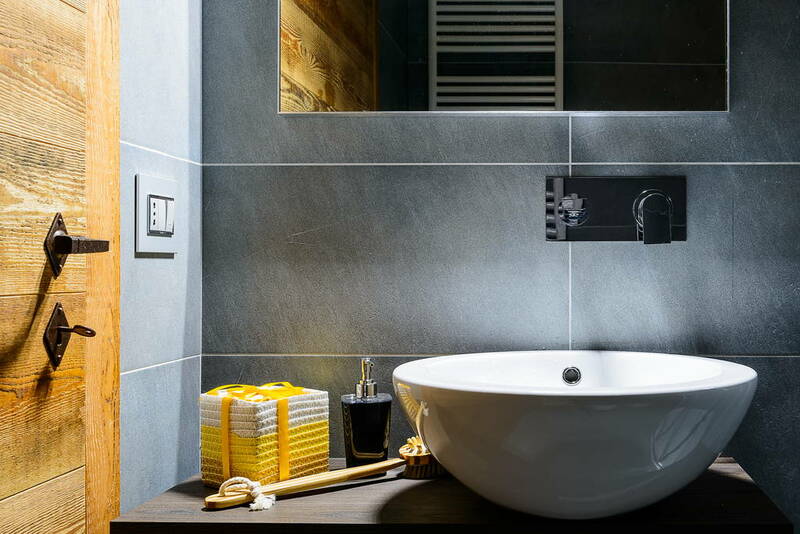 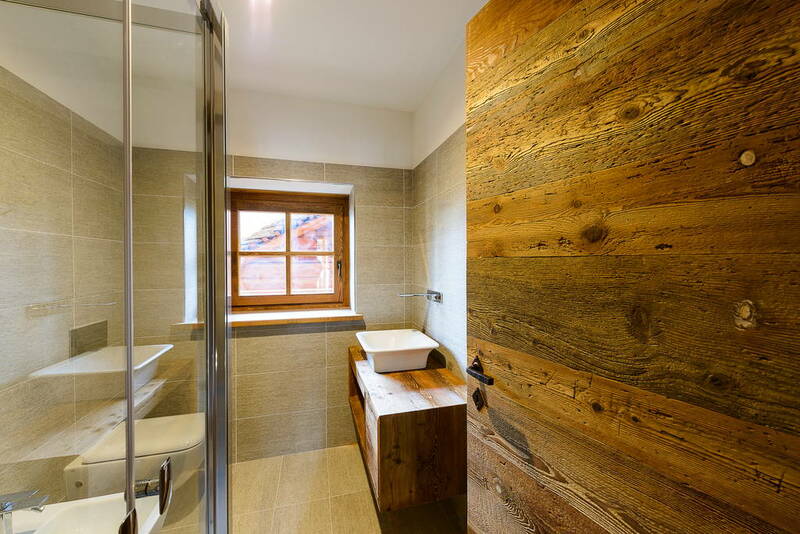 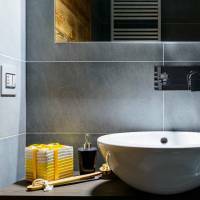 The apartments for sale are delivered complete with flooring and interior doors in old larch, rooms bathroom gneiss white, chrome fittings collection 'ISPA' equipped with lighting technology and electronics showers with waterfall mixer, wall hung cabinets and old larch furnishing. 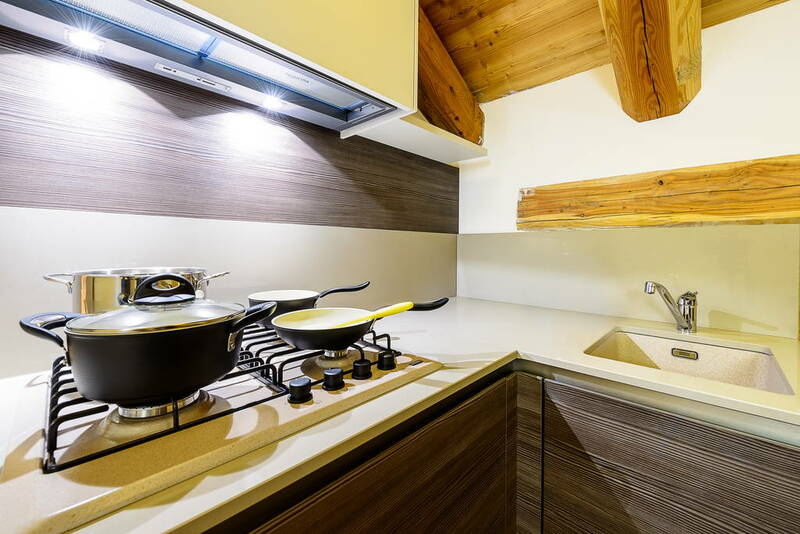 PLANT PREPARED FOR A KITCHEN WITH HOB INDUCTION OR GAS. 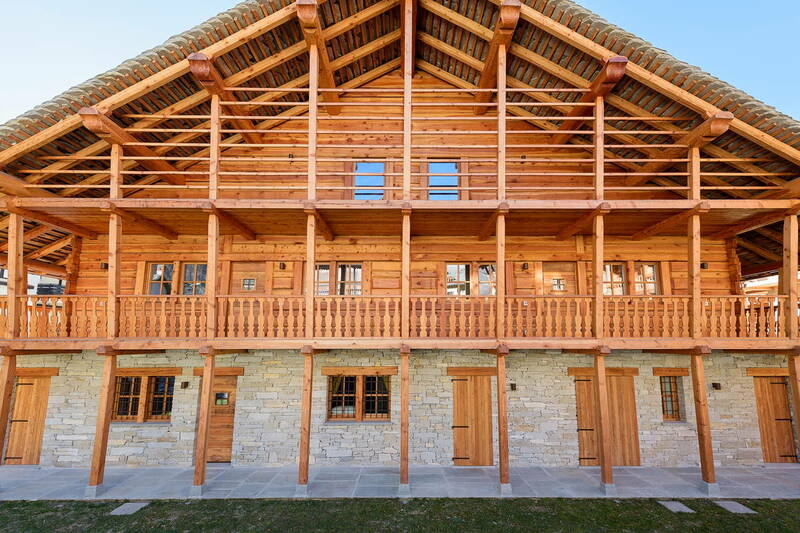 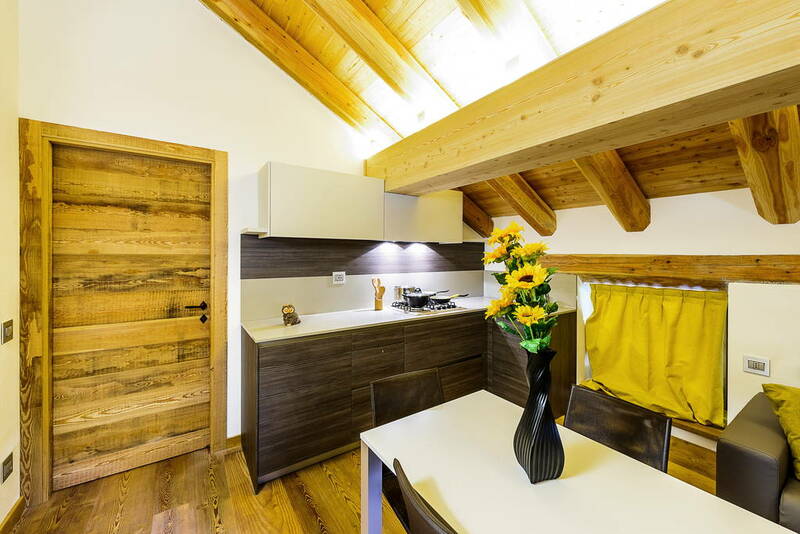 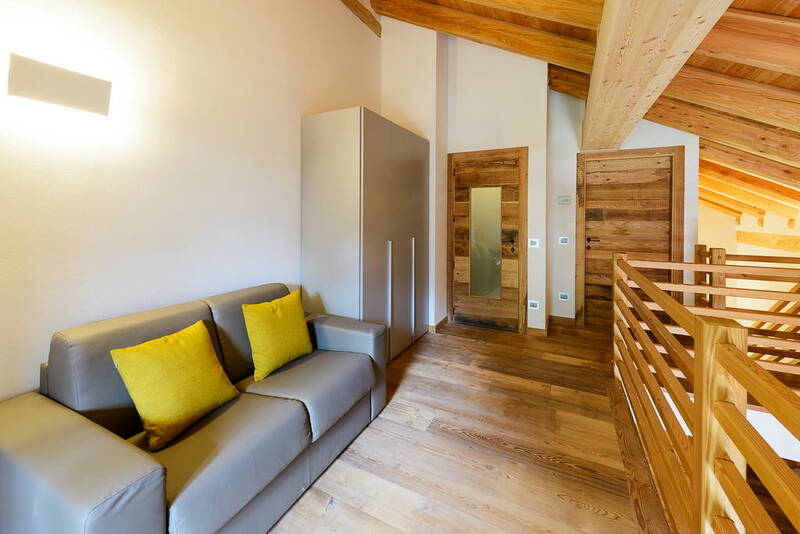 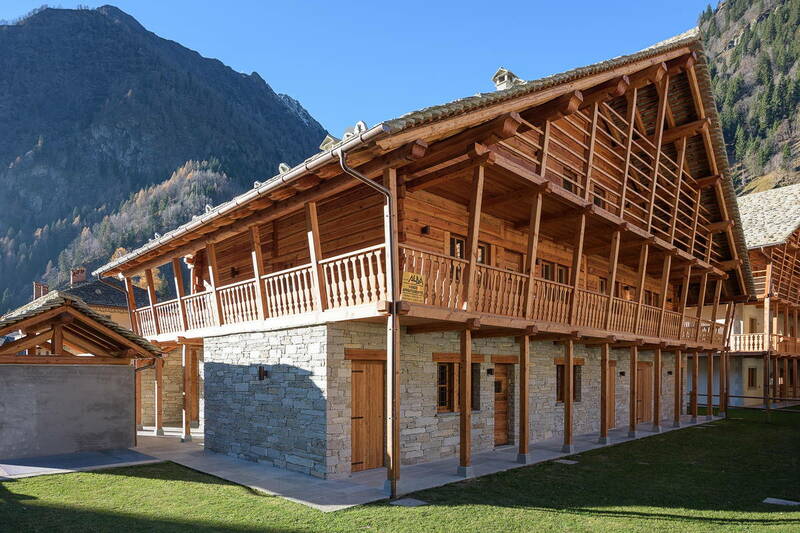 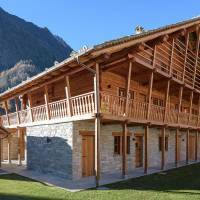 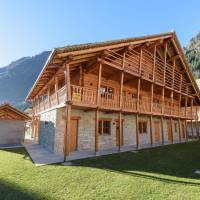 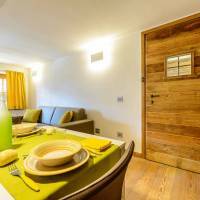 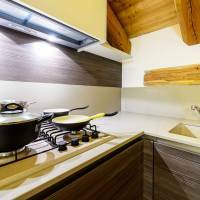 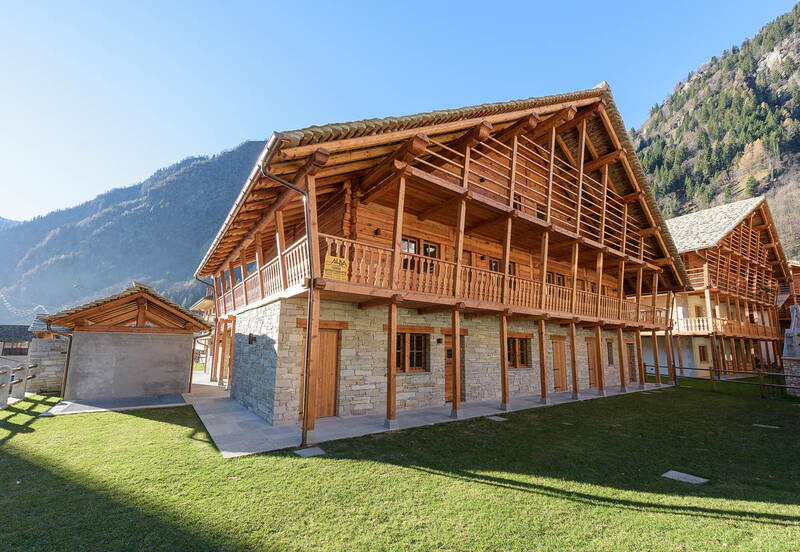 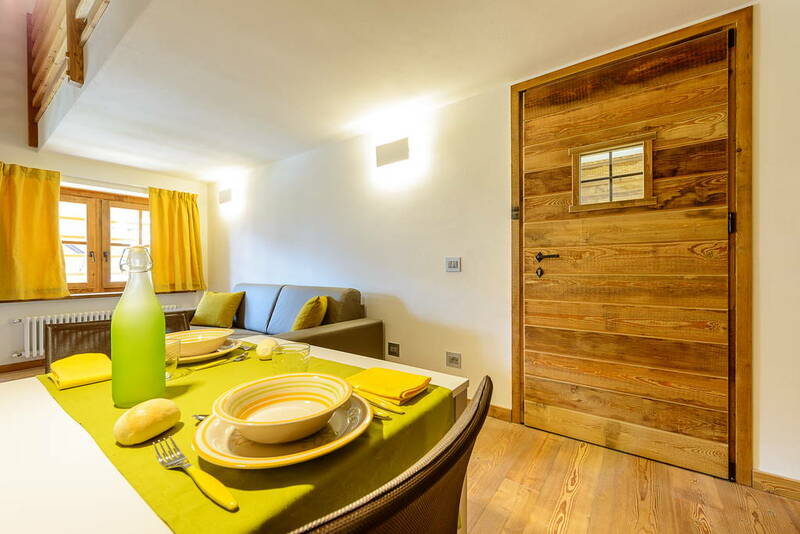 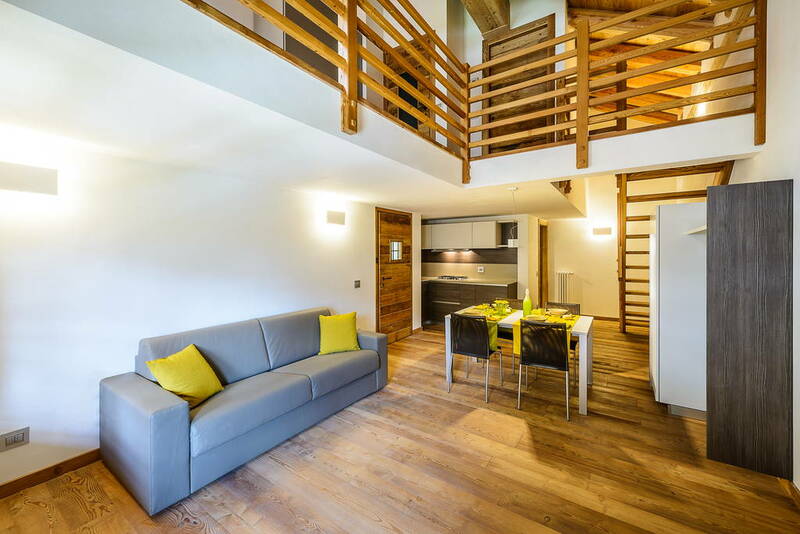 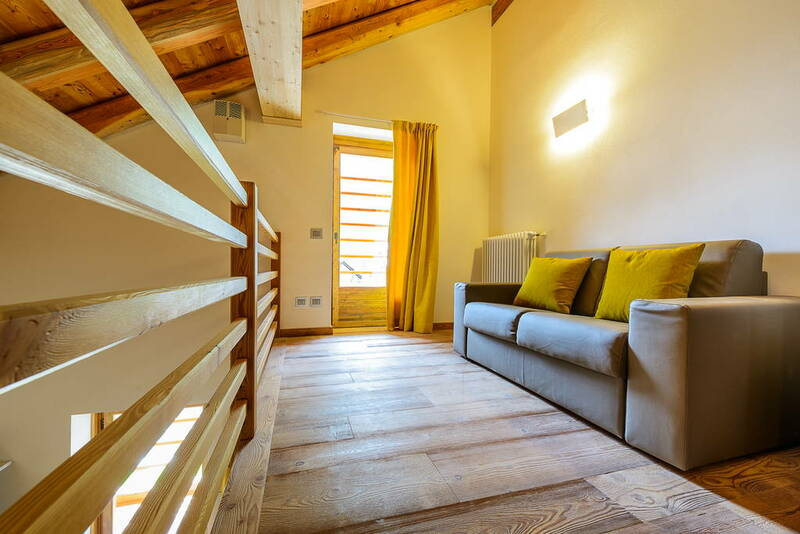 Characterized by a large and lush green surroundings overlooking their garden, the chalets of Alagna2000 offer in the basement, garage with automatic opening of different sizes to meet different needs of space and a cozy ski-room equipped for winter sports enthusiasts that will have security lockers for drying skis and boots (all inclusive). 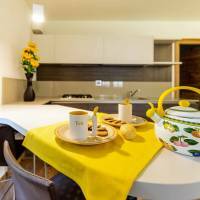 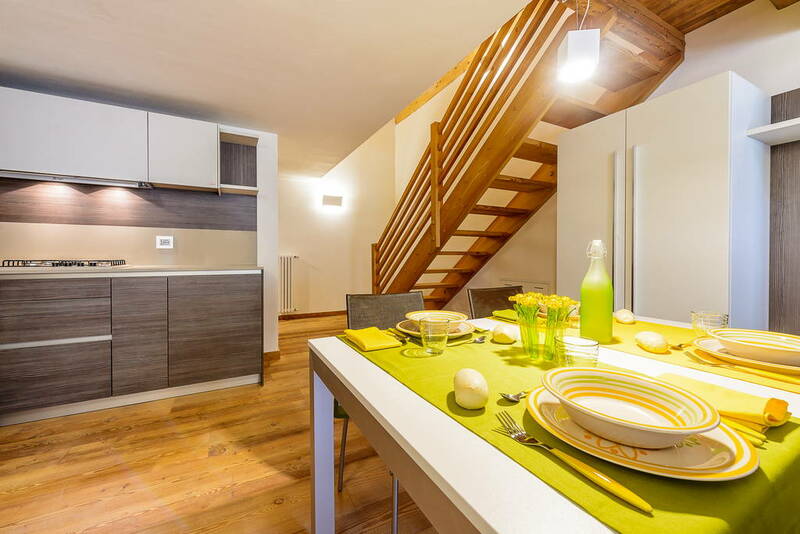 The ground floor apartments of small size with bedroom and living area with kitchenette. 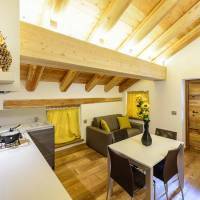 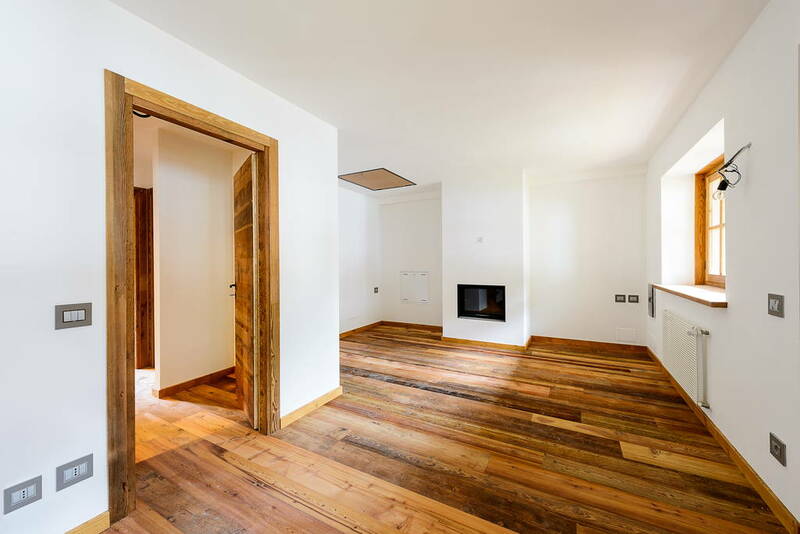 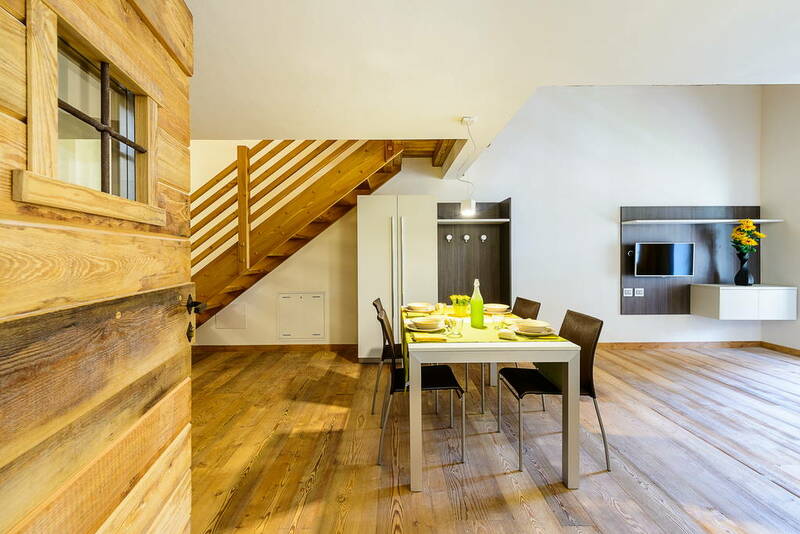 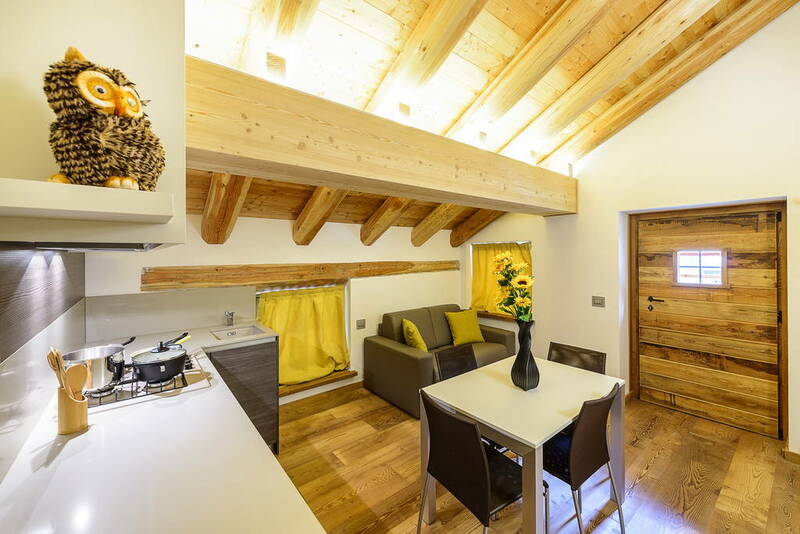 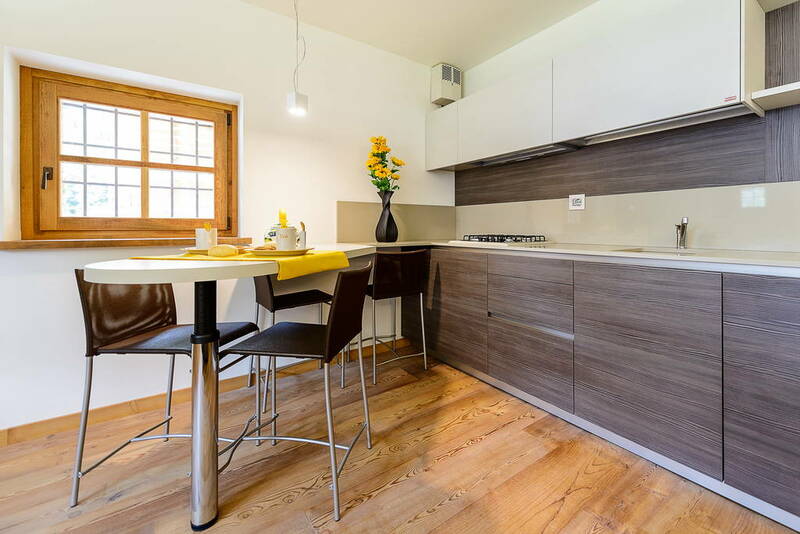 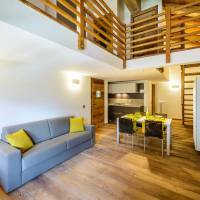 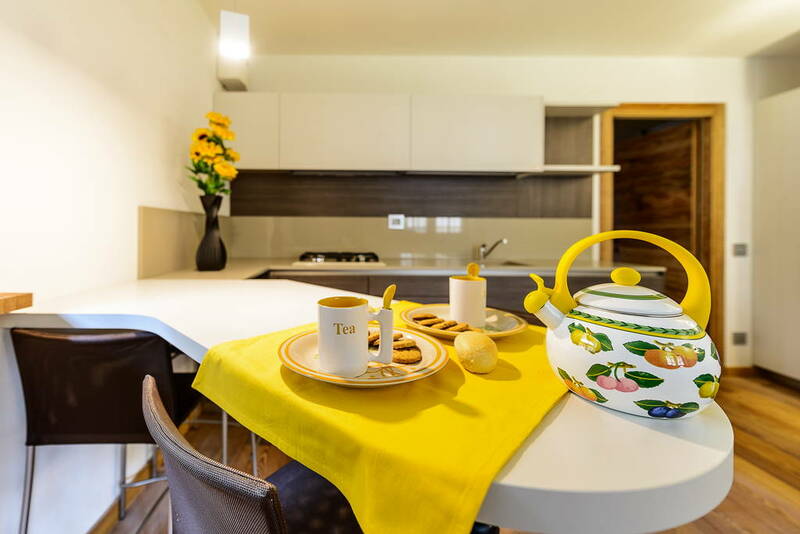 On the first floor apartments of large size with thermo fireplace and great design potential. 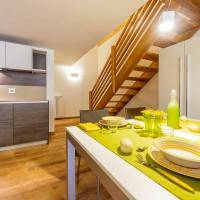 Two bedrooms, two bathrooms and living room with kitchenette. 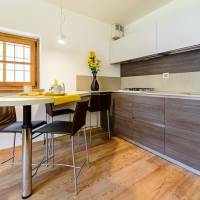 Possibility of furniture service (all inclusive). 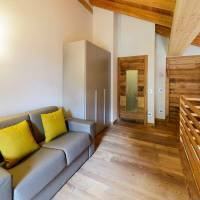 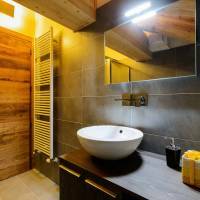 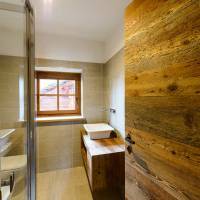 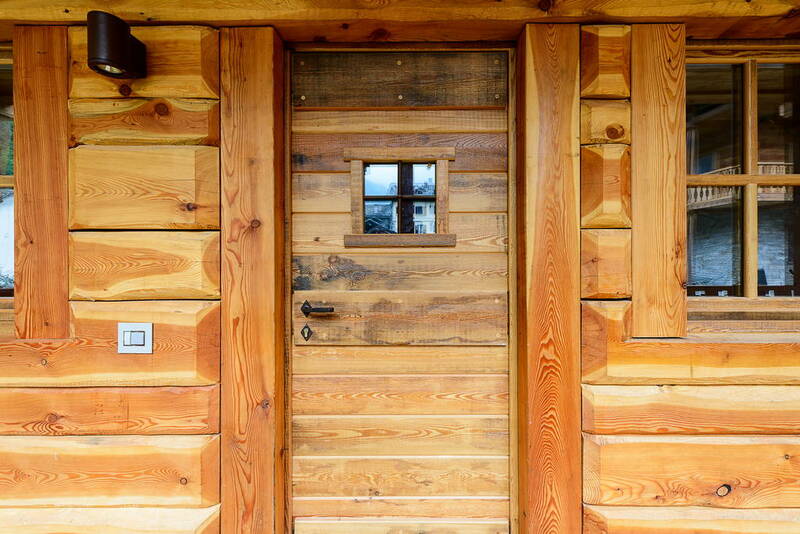 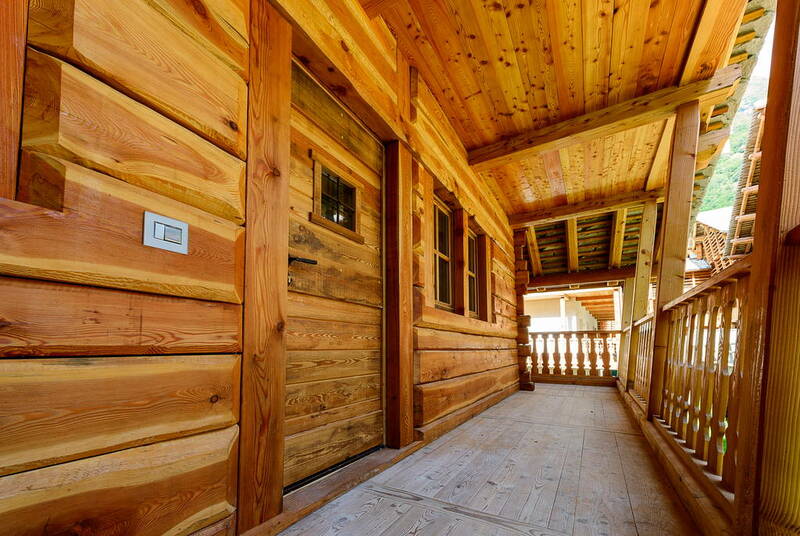 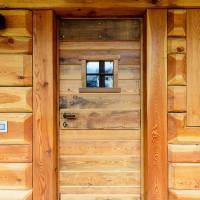 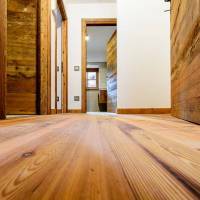 Our chalet were built to ensure maximum comfort and safety. 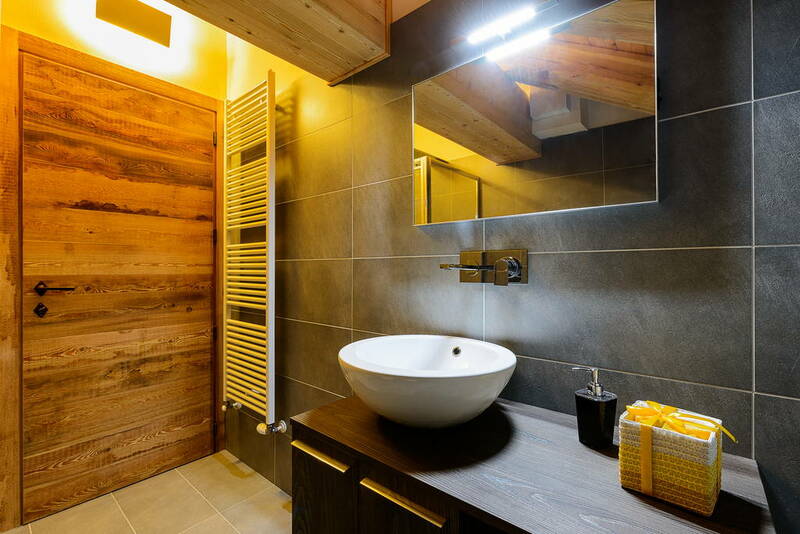 The underground garage with CCTV is equipped with automated closing. 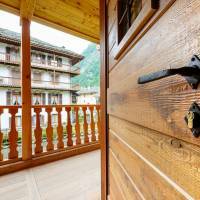 The property offers a reception service active all year. 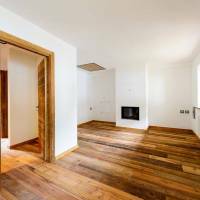 The heating can be activated by telephone. 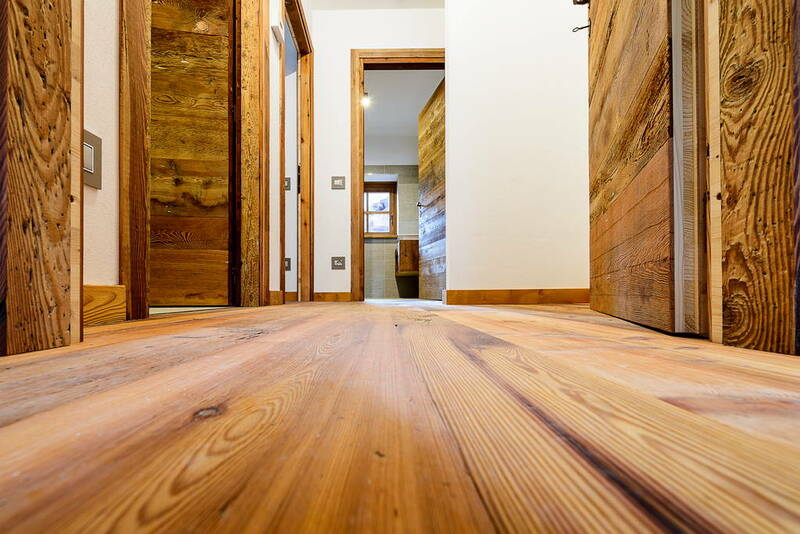 The exteriors have been treated with special oils to preserve the wood from fungi and / or parasites, ensuring compliance aesthetic quality sublime.